WASHINGTON — The U.S. Federal Communications Commission issued a draft proposal June 21 for giving the wireless industry access to C-band spectrum commercial satellite operators use to deliver cable and broadcast network programming. 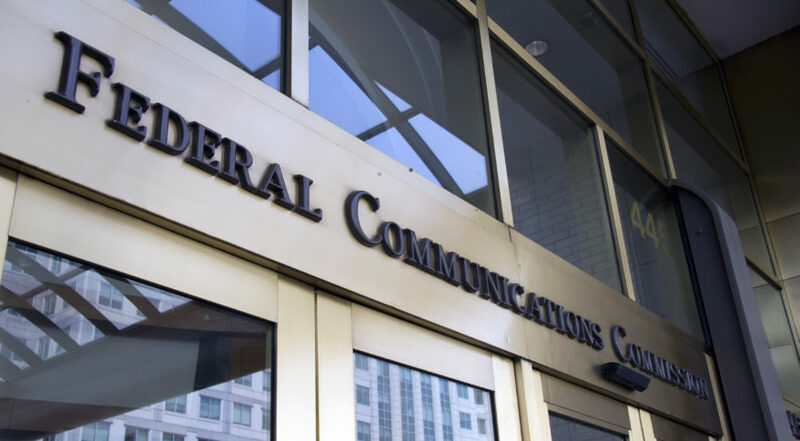 The FCC is scheduled to vote July 12 on a four-step plan that would culminate in opening up at least some of the 500-megahertz swath of radio-frequency spectrum to next-generation 5G wireless networks hungry for bandwidth. How much of the band, and consequently the magnitude of the impact on satellite operators and their C-band customers, is still to be determined. The plan was outlined in a Notice of Proposed Rulemaking the FCC released June 21. Since October, more than 200 organizations filed comments to the FCC in anticipation of the rule-making. The FCC proposal partially reflects a plan put forward by Intelsat, Intel and SES by calling for an industry-formed “Transition Facilitator” for the spectrum. That idea lines up with the satellite industry-supported plan for a consortium of satellite operators that negotiate terms for transferring spectrum to mobile operators. The idea of a centralized facilitator garnered “record support,” according to the FCC, though Eutelsat and Telesat have expressed reservations about who would hold power in a satellite operator consortium. Telesat has said it will fight its competitors’ C-band plan if Intelsat and SES control the consortium. Intelsat and SES, which together control more than 90 percent of U.S. C-band spectrum, support yielding 100 megahertz of C-band, plus a so-called guard band of 40 to 60 MHz of unoccupied spectrum, to mobile network operators and internet service providers. Eutelsat and Telesat each control a single-digit percentage. Wireless and internet providers would pay satellite operators for lost business opportunities and the cost of migrating customers to different frequencies. The FCC is also considering auctioning the spectrum — a strategy favored by mobile network operator T-Mobile. The proposed Transition Facilitator is the first step in the FCC’s plan; it would handle negotiations with new entrants wanting to claim C-band spectrum. The commission posed several questions for industry and interest groups to debate, such as whether the commission should have the right to approve or reject the formation of a Transition Facilitator. The FCC asked for input on whether full coverage of the lower 48 states should be a requirement for consortium membership. The consortium would still incur costs re-configuring networks and relocating customers, for satellite operators with U.S. C-band coverage that don’t join its ranks, according to Intelsat and SES, though the FCC noted it is not clear how this process would work. The FCC’s second step calls for a negotiation period between the Transition Facilitator and entities requesting access to C-band spectrum. In this stage the commission leaves open how much spectrum could transition from satellite operators to terrestrial telecom companies. Intel, while allied with Intelsat and SES, said the market-based approach put forward “could clear additional spectrum beyond the 100 megahertz” without taking more time to complete. Intelsat, SES and Intel believe their market-based approach would facilitate new use of the band in 36 months or less and that a regulatory mandate would take many years longer to implement. The negotiation stage includes consideration of various auction plans, including satellite operators relinquishing spectrum for auction in exchange for a portion of the proceeds. Once the commission has a C-band transition plan, its third step is to begin accepting terrestrial license applications to use the spectrum. The FCC is requesting input on many details of this process such as timing, what criteria to require, and on how to best protect satellite services that remain in the band. The FCC is still seeking data on how heavily satellite customers use C-band since only 4,700 dishes are registered. On June 21, the FCC granted a 90-day extension for registering C-band dishes — at the behest of SES and Intelsat — and created options for registering multiple dishes simultaneously to lower the cost of the voluntary process. The FCC is implementing a temporary freeze on new registrations to get a snapshot of how the band is used. As a motivation for unregistered C-band customers to step up, the FCC proposed that only dishes it knows about are ensured regulatory protection from signal interference. The FCC also wants to collect additional data on registered dishes, such as which satellites they are pointed at and how often they are in use. If existing registrants don’t provide the updated information, the FCC proposes removing them from the database. “The interest shown by the FCC encourages us to further our work to support stakeholders, including customers, in embracing our proposal as the most expedient solution,” Intelsat said. SES issued a similar statement June 25. “We are pleased with the positioning of our proposal in the draft C-band NPRM released on June 21 by the FCC,” SES said. In October, Intelsat and Intel began the satellite industry’s push to find a compromise on C-band, saying the regulatory pressure in the U.S. to repurpose the band for 5G was considerably stronger than in other parts of the world. SES joined in February on the grounds that satellite operators only cede 100 megahertz of C-band.